European design consultants have specified exquisite Italian style, fine-furniture finishing for every piano in the Ritmüller line. Every cabinet is polished to a smooth, deep, consistent finish through a process that includes a resin base coat applied prior to the finish. Carefully examine interior components of the all new Ritmüller models and you will discover the sides of the bottom and side panels are fully finished. 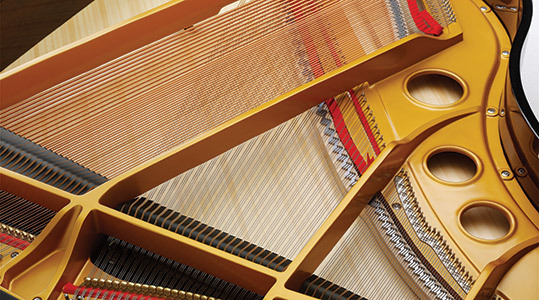 Ritmüller uses no plastic case parts in the construction of their magnificent new, full-featured pianos. 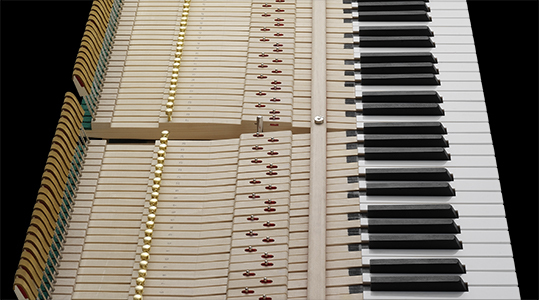 The soundboards on all new Ritmüller pianos are made of seasoned, music grade spruce and matched for color and grain. 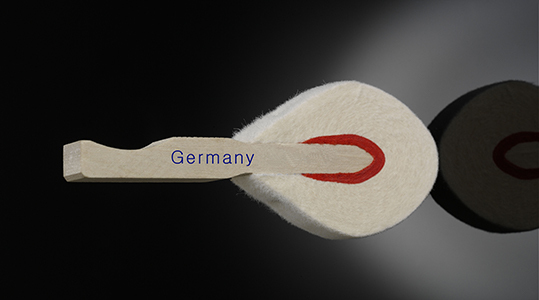 All new Ritmüller pianos are built with the finest quality hammers from Germany. 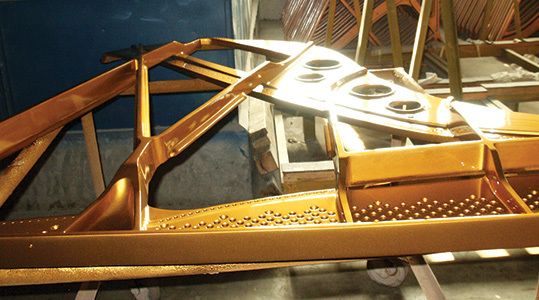 The Premium Series features Renner™ hammers which are found only in the most discriminating international piano brands. 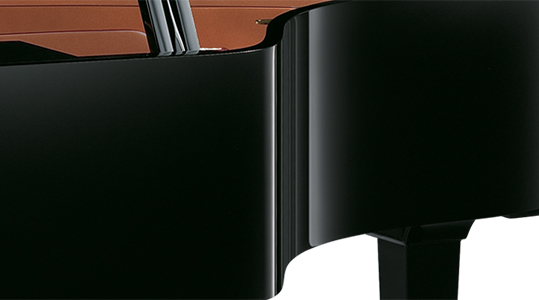 The actions on the new Ritmüller pianos are traditional, all wood construction with no composite parts. Crafted from European Hornbeam, the combination of the highest quality damper felt and woven felts available make the action very responsive and easy to service. Pianists will be pleased with the performance capability. Ritmüller’s sand cast plates are heavier and, in fact, have a different molecular structure than piano plates utilizing vacuum processing. The Ritmüller process uses a natural cooling/aging process that dissipates the heat slowly, allows for complete curing and requires a very work intensive finishing process. 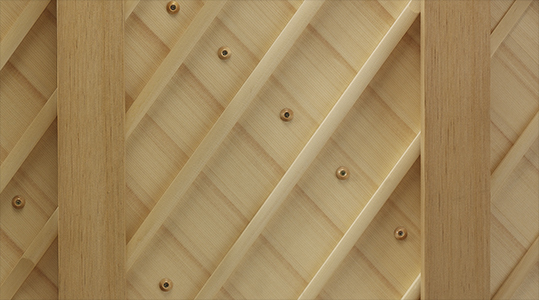 Because Ritmüller plates are heavier and almost acoustically dead by comparison, they allow for the pure rich tone associated with expensive European and American pianos rather than the unwanted overtones that are created by vacuum-processed plates. 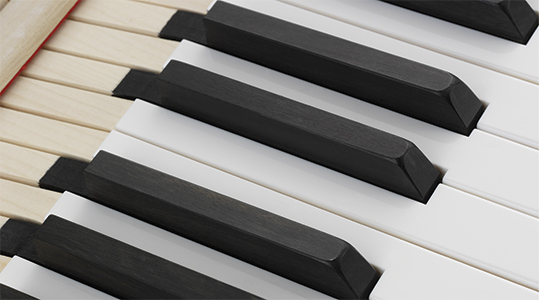 The keys on all new Ritmüller pianos are made of select, straight-grained spruce, processed in an environmentally protected area to assure the future stability that is so important to touch and response. The key bed is built of Euro-designed butcher-block construction providing strength, stability and long life. Ritmüller key beds have no plastic or Styrofoam components. All sharps are fashioned from ebony wood. Röslau music wire is used in all Ritmüller pianos and is the same premium quality music wire found in the finest European and American pianos. It is the appropriate gauge to accompany the lower-tension scales employed by Ritmüller. Solid copper, hand-wound wire is used to wrap Ritmüller’s bass strings to provide a beautiful bass tone. These string features allow the Ritmüller piano to deliver a consistent, full, rich tone quality comparable to more expensive international pianos brands.